Svetlana Davydova, a mother of seven who was detained on charges of high treason in west Russia, has been allowed to leave pre-trial custody, lawyers said. The probe into her alleged leaking of data about Russian troops to the Ukrainian embassy continues. 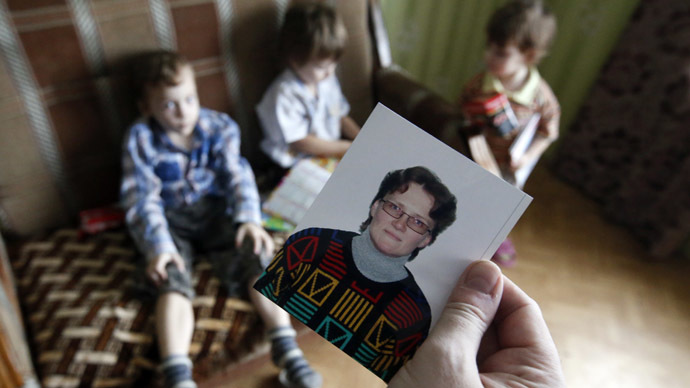 “Svetlana Davydova will be released. Today,” Ivan Pavlov, the woman’s current lawyer, wrote on his Facebook page and on Twitter. Светлану Давыдову освобождают из СИЗО. Мера пресечения изменена на подписку о невыезде. Мать возвращается к детям, а я - в Питер. Davydova is to stay in her home town, Vyazma, some 150km from Moscow, until the probe finishes as a pre-trial condition. Sergey Badamshin, another lawyer from her new defense team instated after a state-appointed representative was dismissed, said that she was already heading there. The 36-year-old woman is accused of contacting the Ukrainian embassy in April 2014 and alleging that a Russian battalion stationed near her house may be sent to Ukraine’s east to take part in fighting. Russia has often been accused of dispatching its troops to Ukraine. The allegations have been repeatedly denied by Moscow while western critics have so far failed to back their claims with solid evidence. Davydova was detained on January 21 and was to be held at a pre-trial detention center in Moscow. The court ruled that the measure would hold until at least March 19. However, after it emerged that Svetlana is a mother to seven children, numerous human rights activists and even authorities started a campaign to change the pre-trial orders and let the woman stay with her kids. Davydova has three children of her own. The other four kids are from her husband and Svetlana's sister, who was previously married to the same man. The youngest of them is only two months old. “She is in a very hard emotional condition but she holds on,” human rights activist Zoya Svetova said. Together, activists and MPs bagged about 40,000 signatures in her defense which are to be handed over to the Kremlin on Tuesday. According to the Russian president’s press secretary Dmitry Peskov, the president will consider the appeal. On Monday, Davydova declined the services of the court-appointed lawyer, Andrey Stebenyov, who advised her to admit the guilt, and changed her testimony. If found guilty, she may face up to 20 years behind bars.